This clip from Sicario is the exact tone I was hoping for in a movie about an anti-drug-cartel task force. It looks gritty and intense, plus it has a badass female lead. It’s a quick scene but it gives a glimpse of the type of danger Macer (Emily Blunt) and her team will be walking into. 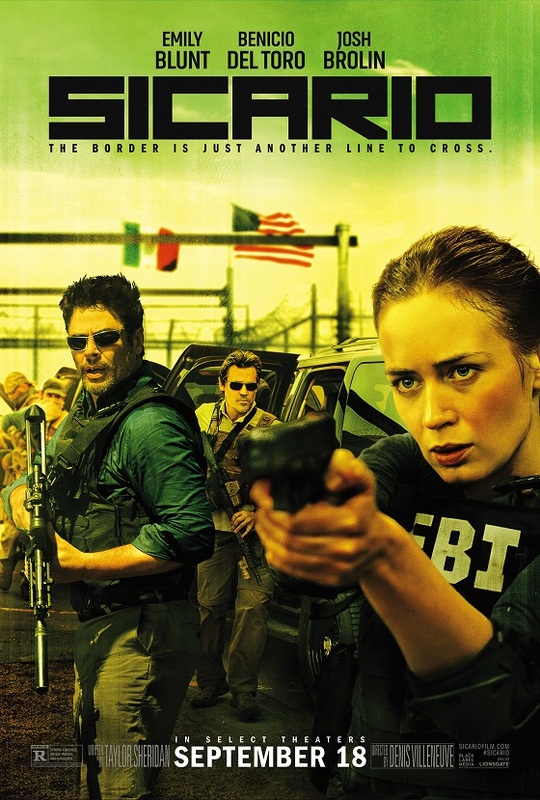 After receiving rave reviews at Cannes Film Festival and generating some early Oscar buzz, Sicario may be one of the surprise movies of the year. Sicario opens Septembert 28th. I can’t wait. Posted in Clips and tagged action, Benecio delToro, Cannes Film Festical, clip, Emily Blunt, Josh Brolin, Oscar Isaac, Sicario, thriller. Bookmark the permalink. Your writing talent is actually appreciated!! Thanks. You saved me lots of frustration. Amazing post!